Preview Issue of VIBE. 1992. You want to clutch your chest and lay back on your chaise and dab your brow with your hankie? I can’t go there with y’all. Running a fiction workshop right here on my blog. Reaching out to my dear readers right here on my blog. The game is changing. If writing is your passion, do not pass Go. I’m thisclose to crying. For real. We are in the middle of a huge transition. Much love to all my Vibers, past and present. Thank you to Danyel Smith for not hiring me to be your assistant and for knowing there were bigger things in store for me. Thank you to Dave Bry, for assigning me my very very first story in the front of the book. Thank you to Erik Parker, for always making me trim the fat and get to the meat of my stories–even when it pissed me off. Thank you to the whole team who made the Mary Woodson story happen: Laura Checkoway, Lacey Banis, Jamie Katz. Thank you to Keith Clinkscales, for letting me interview for three hours on how Vibe came to be. Thank you to Serena Kim for assigning and editing some of my best work. Thank you to Karen Good for making me want to be a better writer. Thank you to Raqiyah. Just because. Rondell, Angie, BMI, J-Rod, Mariel, Lakeba….Thanks to the entire staff for hosting my students for countlesss class trips to see the inner workings of a magazine. Thank you to Rob Kenner for believing in my long-form investigative work. Thank you to Emil Wilbekin for being tipsy at Danyel’s house on DeKalb that day 12 years ago and making a newbie feel like she had a future in the game. Thank you to Akiba and Ayana and Tai for showing me love at Vixen. Thank you to Alan Light for letting me interview you about your time at Vibe. Thank you to Mimi for a second chance. Thank you so much to Shani Saxon who stopped me in the hallway and assigned me a story on the spot cause she heard I was a fearless reporter. I don’t have a masthead in front of me. This is all off the top. I’m verklempt. My last cover story for Vibe. 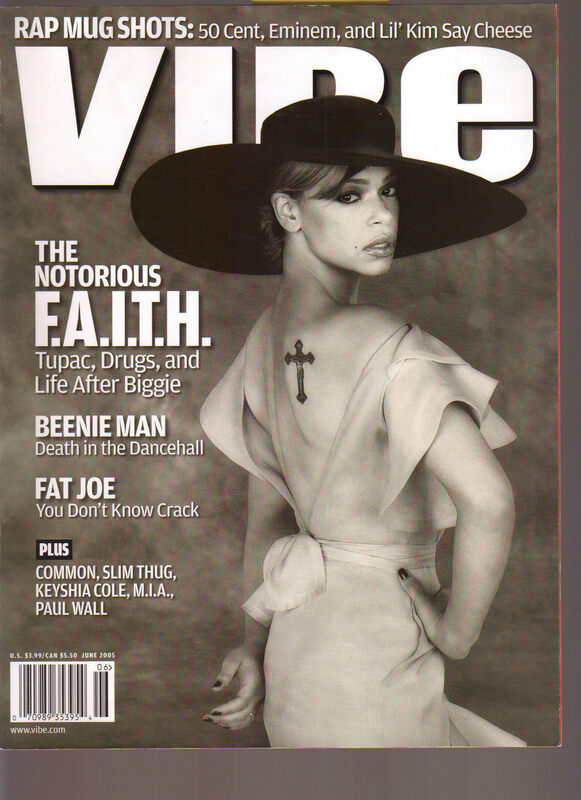 Faith Evans. 2005. This entry was posted on June 30, 2009 at 1:57 pm and is filed under Random, Uncategorized. You can follow any responses to this entry through the RSS 2.0 feed. You can leave a response, or trackback from your own site. 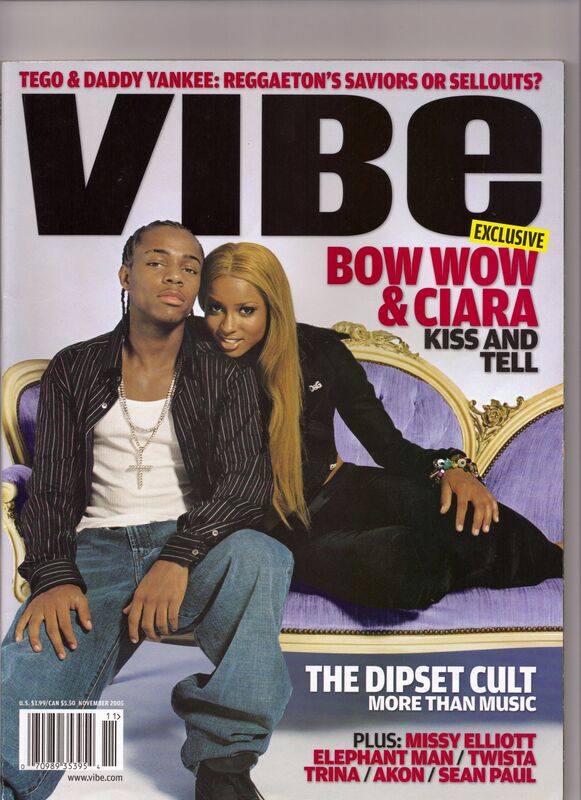 RIP VIBE magazine. Thank you Aliya for your words. “The game is changing. If writing is your passion, do not pass Go. Great post. Thanks Vibe, for all the good work. To all my fellow writers, let’s take Aliya’s advice and keep pushing. I’ll admit that I haven’t read a Vibe front to back in more than a minute (perhaps that’s part of the problem) and my work hasn’t appeared in its pages for some time, but I’m still saddened. I know magazines are (clearly) falling left and right, but with very few outlets that speak our language taking a brunt of the fall I fear that our voices are being stifled—slowly. Thankfully, writers such as yourself are expressing through blogs to counterbalance the dribble that exists in the “hip-hop blogosphere” at times (no shots), but the tangible product, the documentation of an ever-evolving culture will surely be missed. This news only makes me more concerned for the future of my chosen career, but also pushed me to go even harder making my own space/brand in the world. cough, cough, http://www.NakedWithSOcksOn.com. Great post as usual. Now I gotta get back to work! It would be you to post one of the original FLY covers of Vibe when the dimesions of that magazine was used to be this BIG. yeah we have to stay busy and figure out where we’ll land. thankfully i haven’t been surviving off that vibe money for about 3 years, but i think the whole landscape is altered, historically. you’re right though… gotta stay focused, keep up with the transition, write to survive. Ripping off the band-aid. Painful but necessary. Thanks Aliya! Great post. oh no! Vibe is folding? It feels like the death of an era. Wow. Wow, my adolescence has taken some serious hits this past week. Thanks as always Aliya. just this morning, vibe crossed my mind. i was walking through the 10th arrondissement, thinking of the mint condition first two issues of vibe i’ve got in a box somewhere. wondering what they might be worth after vibe puts out another 20 years worth of issues. (what’s that john lennon issue of rolling stone worth these days?) thinking of how i threw out my every-single-issue collection sometime after they shrunk the magazine down, wondering when the DVDs with the entire vibe collection’s gon’ drop. are y’all lester bangses or tom wolfes? that remains the Q. take s’more inventory. & vibe, rest in peace. you were snooty at times, but that elusive carrot to catch at one point. Aliya, was so waiting to hear your thoughts and this fulfilled my expectations. I already read about your Shilling for Yummy’s and other side hustles and know that all fearless, flawless writers will find their place. In my wee tribute (that came from the audience’s point of view), I could only reminisce on those first Vibe issues back in the 90’s with the Fugees, Snoop Dogg, and Pac on the cover. I haven’t cracked a Vibe Mag open in years; can’t say why, but I feel that as much as I’m saddened by its departure, I played a small role in its demise by not renewing that subscription. A few notables have already taken to Twitter to tapdance on Vibe’s grave, but as we all did with Michael Jackson, we’ll remember the good times, when the book was at the top of its game. I read the raw features by Lola O. when they came in and would take another look when Shani was done. That’s how I learned what an editor did. I learned what a boss was supposed to do while watching her too. She never asked me to do anything she wouldn’t (she was the music editor, but you could find her standing at the copy machine), never sent me on food runs, and always said thank you for a job well done. I will forever be grateful for that experience. I was supposed to be there for a semester. I stayed for a year. The staff, including ME Jackie Monk and asst. ME Andrew Simon, bought a small cake and soda and threw me a bye-bye party when I left (the first time. I went back after summer.) I was shocked that they were marking my exit. I guess I was a good intern. On my last day, Tasha Turner, Memsor Kamarake, and Bart Graham, who all worked in fashion, told me I should have been working with them. If this writing thing doesn’t work out, I may have something to fall back on. I cried on the subway home because that experience confirmed that running from to DC to NYC wasn’t just some suburban fantasy about making it in NYC and that I actually had a chance here. I mention all the names because everyone who was there moved UP, UP, UP. If you don’t know the names, Google them. That place was a breeding ground for talent and I’m proud that I was even a very, very small part. I’m super sad about his news. What is the world coming to? RIP VIBE. Thanks for everything. Ooh. Sorry for the length. I was purging. Thanks for providing a space to do so. That’s just another reason why this is a sad day. Thank you Aliya & Vibe for the amazing story on my aunt Mary Woodson. Thank you for taking the time to try and find the truth behind her death. Love You Always! Damn Belle hit the nail on the head. I remember back in the days reading VIBE and the raw stories that spilled across its pages. Those were the days and the editors were top-notch, all hustlas going places. Like NWSO, I haven’t read a VIBE cover from front to back either because it’s just not the same, but damn…it used to be so good. Wow. This isall too much…So much change and loss in such a small amount of time….I feel you Aliya. Onward. Upward. an ineffable feeling. sad day in journalism. As someone who saw my image reflected in vibe when I was younger, and even though it ain’t what i used to be, this news saddened me. A magazine that cherished Black faces and culture and supported my obsession with music… I loved it. And when I worked there, I adored it. You were the first I thought of when I heard the news. 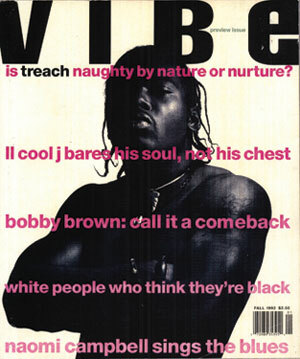 my mom got me a subscription to vibe as a gift when i was 15 or so and that was the first time i ever read it and it made me want to go into writing. I thought I was the only one. I went straight to Aliya’s site when I heard the news about vibe. I was very anxious and curious to read her thoughts on it. Aliya I used to read your work in VIBE and sincerely dream of being as talented a writer as you are (still working on it). Thanks for this piece – it sums up how a lot of us are feeling. Here’s my thoughts on the closure of VIBE: http://live.drjays.com/index.php/2009/07/01/boss-lady-speaks-my-tribute-to-vibe-magazine/.